No matter your background or preferences, every gamer needs a quality chair to sit in for all their gaming needs. Chairs made specifically for gaming was something I never had much interest in. I always thought they looked cool and knew that they had to be better than a basic office chair - which is what I’ve always used - but never felt the need or urge to purchase one. The Alpha Series M Gaming Chair from Levl Gaming has changed my opinion on that completely. I’ve been using this chair for a little over a week now and am more than pleased with its design and comfort level. I have some moderate back problems and always had problems sitting in my previous chair and then transferring to my bed at night. Since I’ve been using this chair, that is no longer an issue. I can’t tell you exactly what part of this chair reduced my back pain, but I am pleased that I no longer have to constantly twist and turn throughout the day to avoid excessive back pain. From the sheer comfort to the interesting features, this is by far my favorite piece of furniture I’ve ever owned. The Alpha Series M Gaming Chair has many features that help me adjust it to my needs. The chair itself is made of leather-like vinyl upholstery and is quite heavy, 50 lbs in fact; this is due to its extra strong steel frame which increases its durability compared to other chairs. I can easily adjust the height with its class 4 gas cylinder which makes it adjustable for any desk that you may be using along with it. The swivel tilt feature is one of my favorite, it features a locking system and a free tilt mode, allowing you to choose which you need for the task at hand. I’ve found myself putting on the lock when doing school work and then free mode for when I’m doing a less focused task such as gaming or watching TV. Along with the swivel functionality, I also have the luxury of being able to adjust the back angle up to an astonishing 135 degrees. With the combination of swivel and tilt I can practically use it as a bed. In fact, I have fallen asleep in this a few times. Another interesting feature is the ability to rotate the arm rests 360 degrees. The final feature, and my personal favorite, is the cold-cured molded foam. My bedroom tends to be the hottest in the house and my previous chair didn’t help with overheating one bit, even with the help of a “cooling cushion” purchased off Amazon. With this chair that is no longer a problem in the slightest. Other features include 1.5” soft wheel casters which are safe for nearly all flooring types, a nylon reinforced base, and it even comes with a lumbar and neck/head rest cushion. Putting this chair together was easier than I originally thought. As expected, it came with everything needed to properly assemble it while including some extra parts in case any were lost. Naturally, it comes with a set of instructions, as well as a second paper for assembly that seemed to show a more detailed look at the images to assist in identification of sides and pieces. I would recommend having a second person to help with assembly not only because of the weight, but the back can be hard to attach to the seat alone. I was completely shocked by how fast I received this package, specifically due to the fact this was shipped via FedEx Ground. This product was purchased and shipped on August 21, 2017 and arrived on August 23, 2017. In my experience ordering online, I don’t see many products this quickly outside of Amazon Prime purchases, so I am more than thrilled with the shipping process. Upon purchase, I received an email with my order number, shipping info, purchase info, and a tracking number. I was easily able to track this package without having to go to FedEx’s website through Levl Gaming, which I personally think is a nice feature. Additionally, I also received an email when my package was delivered, which is great for those who may not be home around the time of delivery. While there are many pros of this product, I will outline what I personally think are the best features and explain why I enjoy them. The swivel feature is easily one of my favorites, the ability to effortlessly lock and unlock it makes it much more ideal as compared to my previous chairs which didn’t have any locking features. The cold-cured molded foam is by far my favorite component of this chair. As mentioned above, my room stays hot, which causes me and anybody else in my room to sweat. Having a chair that doesn’t retain heat, is simply an underappreciated but amazing quality to have. Allowing up to a 135-degree angle when adjusting the back is yet another immensely pleasurable factor this chair has. Combining this with the swivel will give you any angle and adjustment you desire or didn’t know you desired. A lumbar cushion was something I used to always think was useless and uncomfortable. I recently purchased a mesh one that simply wrapped around “any” chair. This product comes with one that matches the chair’s design. Even though some reviews I’ve read mention this cushion being overlarge or hard, that is not true once you break it in. It’s like having a new pillow, it will change form over time and become smaller, but this still does it’s job and maintains its form, just gained a softer feel over time. It took quite a lot of criticism and thinking to come up with any cons for this product, and even though I did find a few, they aren’t crucial or a deal-breaker by any means. These are also my own personal cons - others may have different opinions on what I list below. Having 360 degrees of rotation on the arms may sound cool, but that’s basically all it is. I haven’t found any actual use for this feature and the locking points, while placed well, just feel unnatural for me with a chair. I would also like to mention that at first I didn’t think they would turn, but after a bit of force they did. While the arms do move vertically to adjust their height, not being able to completely remove or "hide" them is a slight disappointment. I know many people who don’t like arms in their way when doing certain tasks, so having no way to move them out of the way may be a small annoyance to some. The cushions I find myself adjusting quite often. While this may be user error, I have to move them often to get them in the proper position, especially the lumbar cushion. I chose to use the butterfly clip that comes with the cushions to attach the head/neck pillow, so that may be fixed with adjustments, but be aware that it may take a while to get the right adjustment. When tilting the back, I noticed that if I went over the final notch it will make a loud pop to hit that notch. This is to be expected due to the nature of the design, however I feel that not allowing it to go past the final notch could easily fix this. Though this can either be a pro or con, for somebody that doesn’t have a large amount of income, the price tag for this is a bit large. It is important to take into consideration the quality of this product and all of the features it has, so I can say that I’d be willing to save up to purchase another chair like this if something were to happen to this one. Overall, I am more than happy with this product. I never thought about purchasing a chair of this caliber, especially since I currently have a low income, but that mentality has changed since my experience with this product. Not only has my back become less painful, but I actually enjoy sitting in the chair I spend most of my day in. If you are looking for a new gaming chair, spend a lot of time at your desk, or just want an amazingly comfortable chair, I would highly recommend the Alpha Series M. From its smaller features like the 360 degree arm rotation to the larger ones such as the cold cure molded foam, this chair has everything you will need for extended sitting. 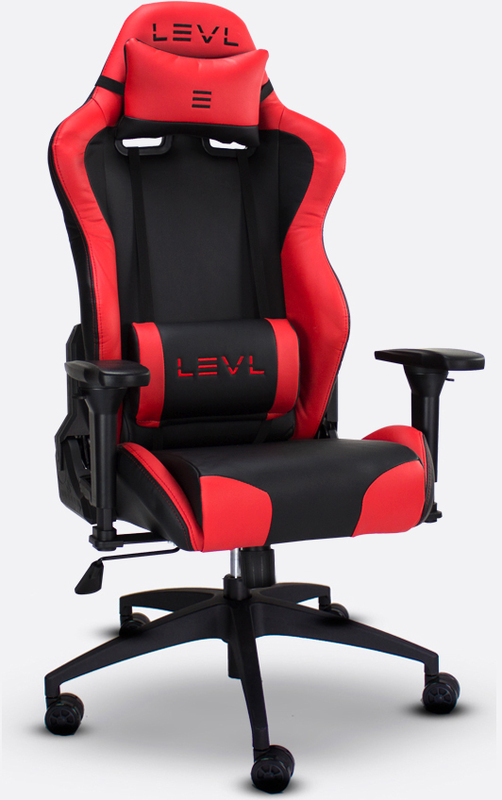 You can purchase this chair, or any others, at Levl Gaming for $299.99, including shipping. I would like to thank Levl Gaming for the opportunity to try out this product - I am very thankful they allowed me to review it! I want to mention that this product was sent to me by Levl Gaming specifically to be reviewed, so this review is sponsored by them. I am aware that this may persuade some readers to jump to the conclusion that this review is biased, but I can assure you that I am being completely honest with my thoughts and opinions on this product. Pianist Prodigy, Pyroman and Lulu like this.